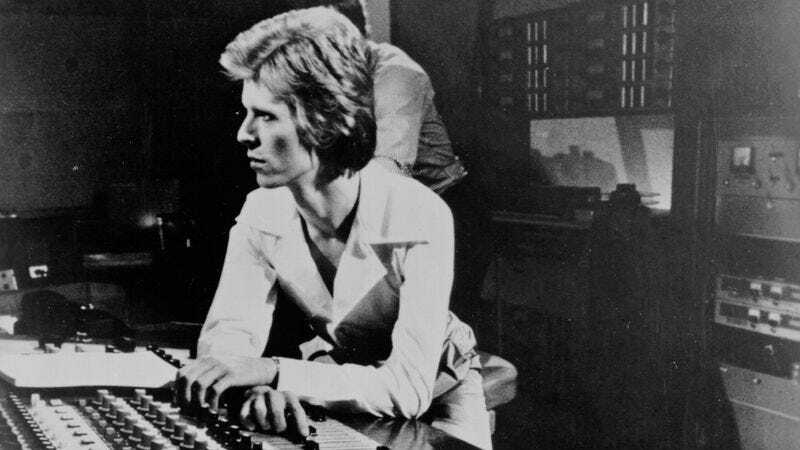 In 1974, David Bowie was undergoing the sort of musical and aesthetic transformation that would come to define his career. He’d recently killed off his androgynous alien character Ziggy Stardust, and he was searching for a new identity to inhabit. He discovered that new way to be within the smooth horn-laced music that was gaining popularity in U.S. clubs at the time. And so, while on a month-long break from the Diamond Dogs Tour, he entered a Philadelphia studio with a team of veteran Harlem musicians (including a young Luther Vandross) and began recording his singular version of American soul music. These recordings would eventually become the 1975 album Young Americans, but not before briefly settling into the form of the never-released album which has come to be known by fans as The Gouster. Gouster was a word unfamiliar to me but David knew it as a type of dress code worn by African American teens in the ‘60s, in Chicago. But in the context of the album its meaning was attitude, an attitude of pride and hipness. Of all the songs we cut we were enamored of the ones we chose for the album that portrayed this attitude. David had a long infatuation with soul as did I. We were fans of the TV show Soul Train. We weren’t ”young, gifted and black,” but we sure as hell wanted to make a killer soul album, which was quite insane, but pioneers like the Righteous Brothers were there before us. So The Gouster began with the outrageous brand new, funkafied version of David’s classic “John, I’m Only Dancing“, a single he wrote and recorded in 1972, only this time our version sounded like it was played live in a loft party in Harlem and he added (Again) to the title. It wasn’t the two and a half minute length of the original either. We maxed out at virtually seven minutes! With the time limitations of vinyl (big volume drop with more than 18 minutes a side) we could only fit two other long songs on side one, ”Somebody Up There Likes Me” and ”It’s Gonna Be Me” both about six and a half minute songs. We had hit the twenty-minute mark. Technically that worked because ”It’s Gonna Be Me” had lots of quiet sections where the record groove could be safely made narrower and that would preserve the apparent loudness of side one. Side two also hit the twenty-minute mark with “Can You Hear Me” saving the day with its quiet passages. Forty minutes of glorious funk, that’s what it was and that’s how I thought it would be. Who Can I Be Now? is the follow-up to 2015’s acclaimed David Bowie – Five Years (1969 – 1973). While the full details won’t be released until next week, we have been given a look at the cover art and tracklist for The Gouster.